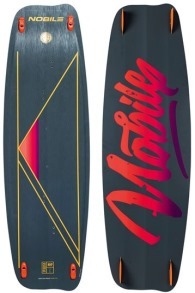 Buy Nobile kiteboards online at Kitemana! The Nobile kitesurfing brand has experienced dynamic growth in the last decade. The brand has shown how much love they have for kitesurfing and development and continues to innovate. They try to make kitesurfing popular with a growing public and spend a great amount of time on user comfort and safety. Nobile makes awesome twintips for all kiters and split boards that you can put in your backpack to take with you on vacation. 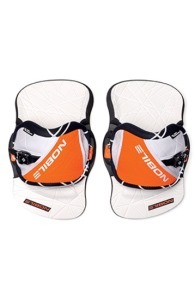 In addition, the Click & Go bindings are unique in its kind thanks to the new snowboard-style strap mechanism. Kitemana has a large line of Nobile kitesurfboards and accessories available directly from stock. Do you have questions about Nobile? Just give us a call or email us. Nobile has been around since 1994. 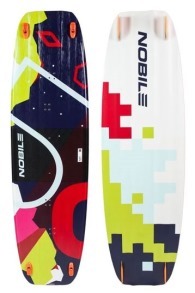 In addition to kitesurf boards, Nobile also makes snowboards, wakeboards and skis. 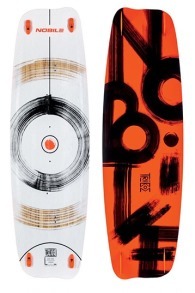 In 2003 Nobile made the first prototype kiteboard with their snowboard shapers. The first kitesurf boards even had a snowboard shape because a snowboard mold was used. 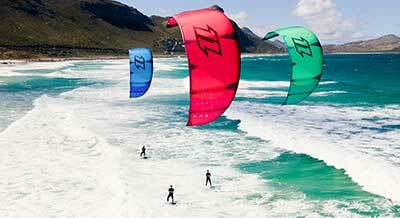 In 2004 the first kiteboards were produced. 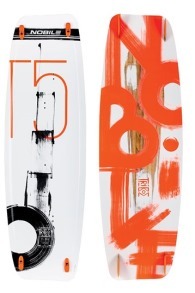 The first board line of Nobile came on the market in 2005 and consisted of two models the Nobile kiteboarding 555 and 666. 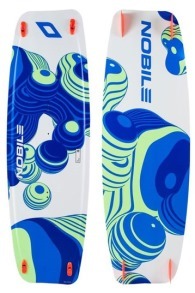 Nobile is known for their innovations in the kitesurf market. So they were the first with a super fast Click & Go system with which you put your fins in a jiffy. 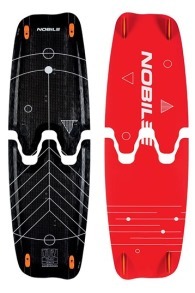 The latest major innovation from Nobile kiteboarding is the Split kiteboard. 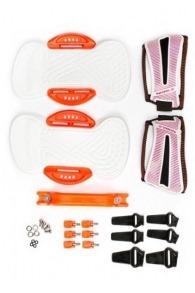 Super convenient for when you travel with your kitesurf gear is a splitboard. 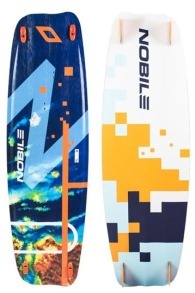 Nobile released splitboards on the market in 2013. 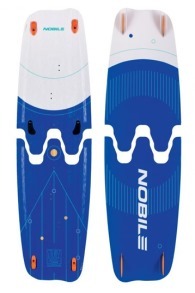 The splitboards from Nobile have a W-construction which makes them super strong. Carbon splitboards are not only super strong but also very light, which makes them extremely suitable to take along on a trip. With a Noblie kite boarding split kitesurf board you do not have to check in large luggage, but just take everything into the normal large hold baggage. That saves a lot of money, especially to beautiful idyllic kitesurfing spots. 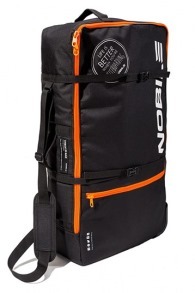 Nobile also makes super handy bags to easily pack and pack your split kite surfboard. 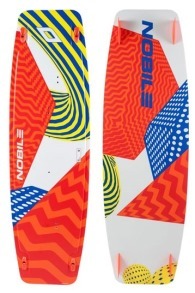 In addition to super useful splitboards, Nobile also makes delicious kiteboards. The Nobile collection consists of the Tribe and Futurism collection. 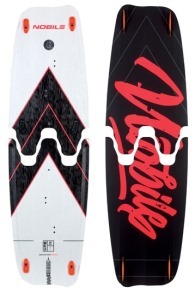 Boards in this collection are the Futurism NHP Carbon Split and the Tribe NHP 2018 kiteboard. Click & Go Bindings The click and go bids from Nobile are super easy to attach to your board and are also very comfortable. The Click and Go Gen 2 has besides the easy attachment a strap system as can be found in snowboards. 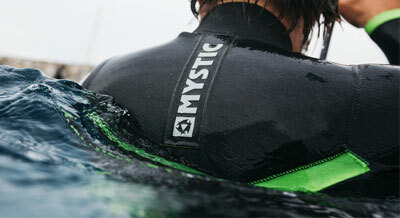 You can tighten the straps on the top with a click system for an even better feeling with your board.